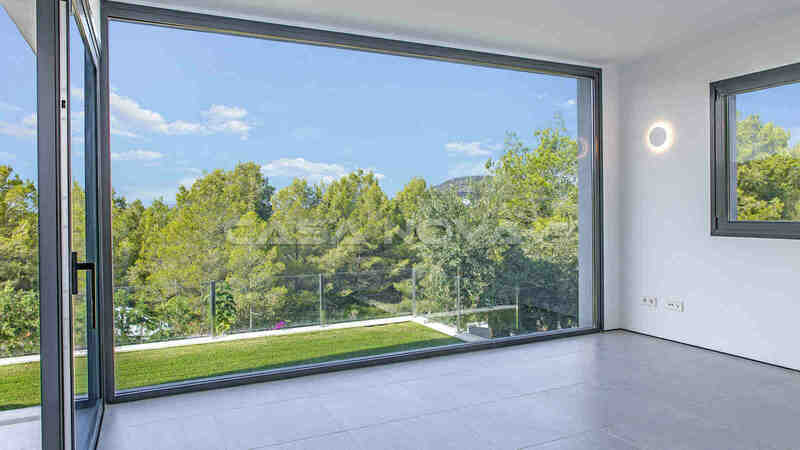 Luxury Real Estate Mallorca : This luxury contemporary villa under construction in Cala Vinyes Mallorca, with a lot of charm and atmosphere. 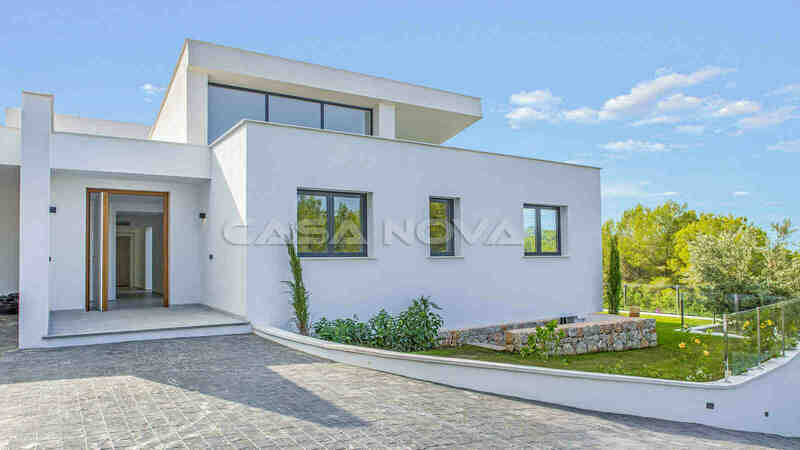 The modern villa is built on a plot of approx. 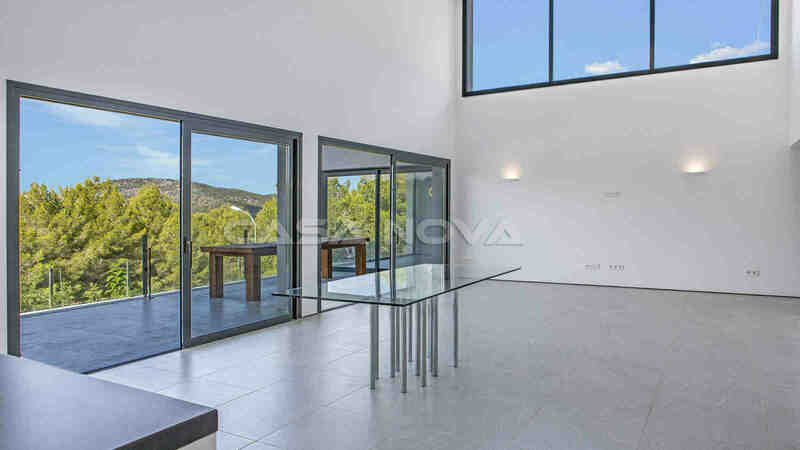 1.250 m2 on a gentle slope, surrounded by a beautifully designed approx. 400 m2 garden with a contemporary approx. 10 x 4 m2 pool. The living space of about 240 m2 offers a spacious living/dining area with its pre-installation for a fireplace. 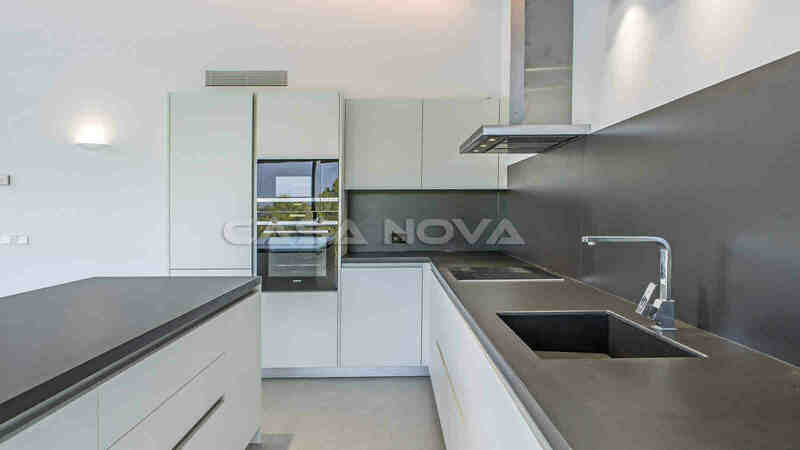 The property is equipped with a white, open, fully equipped, very modern kitchen. 4 bedrooms and 3 bathrooms, of which the master bedrooms havea bathroom en suite. A covered terrace of approx. 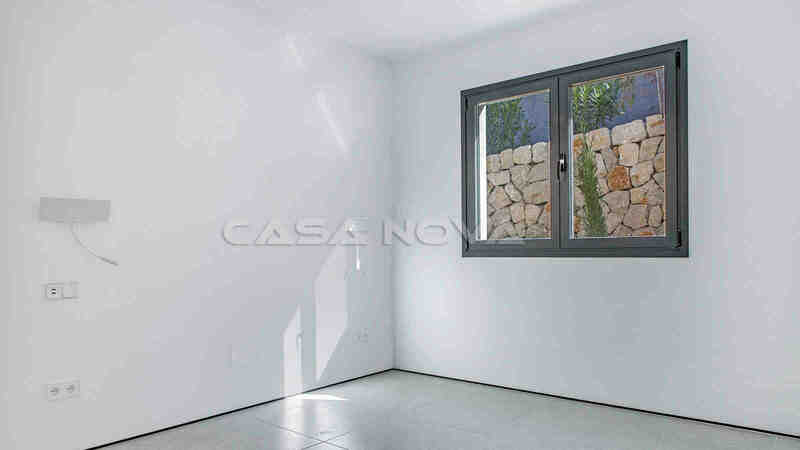 40 m2 and a sun terrace of approx. 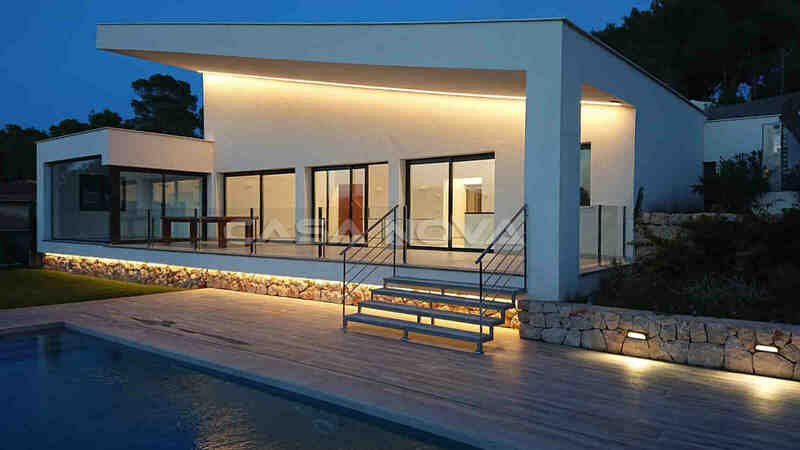 60 m2 invites you to linger beautiful hours in Mallorca. 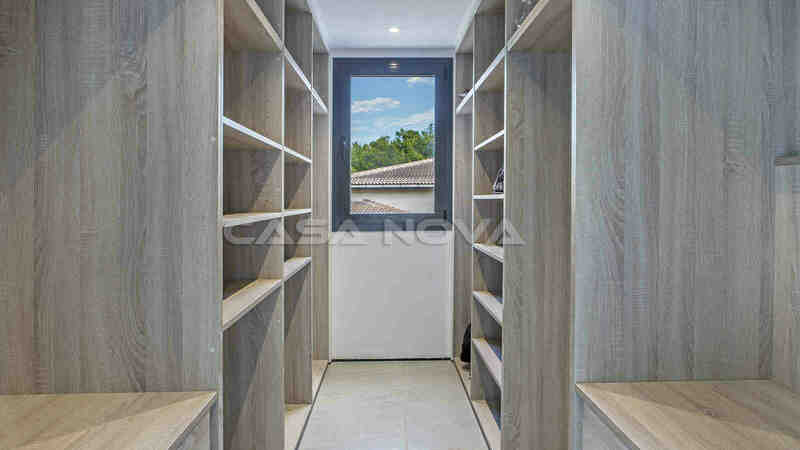 There is also a laundry room, a storage room and a spacious cellar. 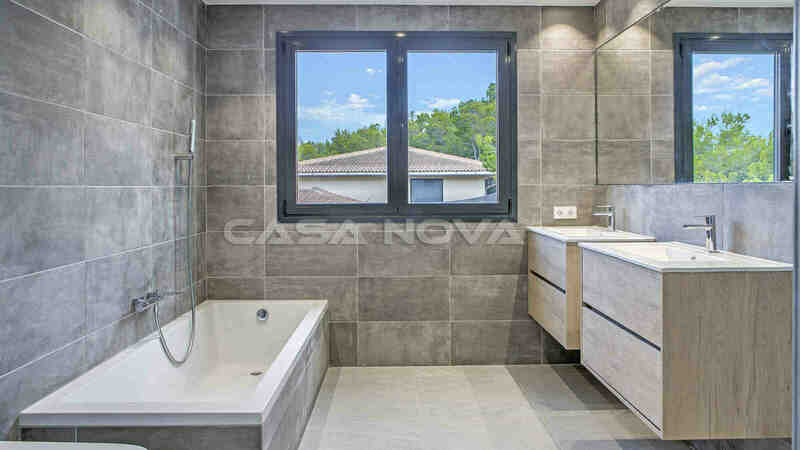 The new villa is equipped with a central air conditioning system h/c, tile flooring in wood optics, double glazed aluminum windows, an intercom, automatic irrigation, an outside shower and carport for 2 vehicles. Only high-quality materials are used in the construction. The planning includes maximum comfort and maximum space utilization. Because it is a new project, the future owner can still bring his own individual wishes into the construction of this luxury real estate. The expected completion will be in December 2017. The quiet village Cala Vinyes in Mallorca is located about 15 minutes by car from the luxury marina Port Adriano, with its boutiques and gourmet restaurants. Several popular Mallorca golf courses are located in the immediate vicinity. To the island capital Palma de Mallorca it takes about 20 minutes. The airport of the island of Mallorca can be reached in about 30 minutes by car. 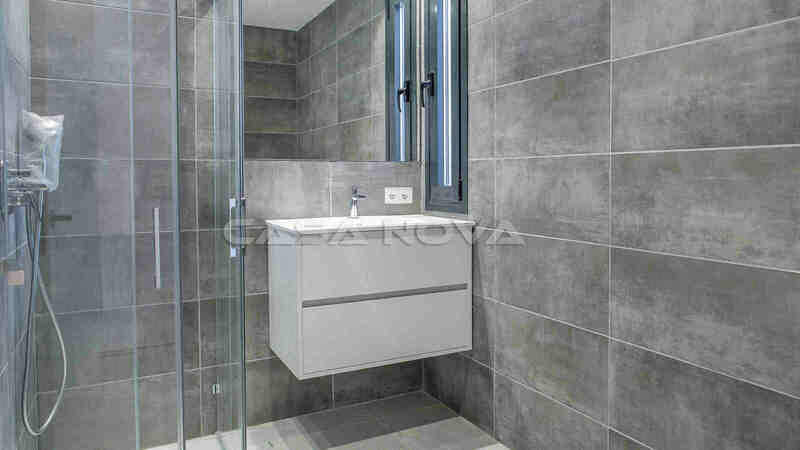 The team of Casa Nova Properties, your professional real estate brokers in Mallorca, will be pleased to present to you this and other properties. There are no brokerage commissions for the buyer.